Don't get me wrong, I'll still celebrate Valentine's Day this year with my boyfriend but it won't revolve around getting extravagant presents and going for the most expensive meal possible. I have had Valetine's Days like that before and to me they are meaningless. The thing you remember most is the presents you received or gave and not the actual memories made and I think that's wrong. Valetine's Day has turned into an over commercialised event with shops selling giant teddy bears and heart shaped everything as soon as the new year starts. Most girls in relationships get so excited at the thought of what their boyfriend might buy them that they forget Valentine's Day is letting your loved one know how much you love and appreciate them. Companies push Valentine's Day gifts so hard these days that we have been programmed to think that gifts are the single most important thing we need in order to receive love. And I think that's sad. Now I'm not saying that getting each other presents means you're materialistic and don't love each other. But I do think that instead of spending €100 on a stereotypical Valentine's present, why not actually think about what your other half likes and get them (or make them) a personal present that they'll love because you put serious thought into it. Another idea to get back to the true meaning of Valentine's Day would be to do something different. Instead of going for a fancy over priced meal, why not go for a walk somewhere pretty and bring a picnic, or even go on an adventure day. Personalised presents mean so much more so why not treat your boyfriend to a day of go-karting or paintball or your girlfriend to a trip to the zoo. You'll have your present sorted and you'll be able to make brilliant memories together! If you're single on Valentine's Day, don't turn into that bitter person who tweets about how much they hate cute couples, it's embarrassing and will get you nowhere. Instead, treat yourself! 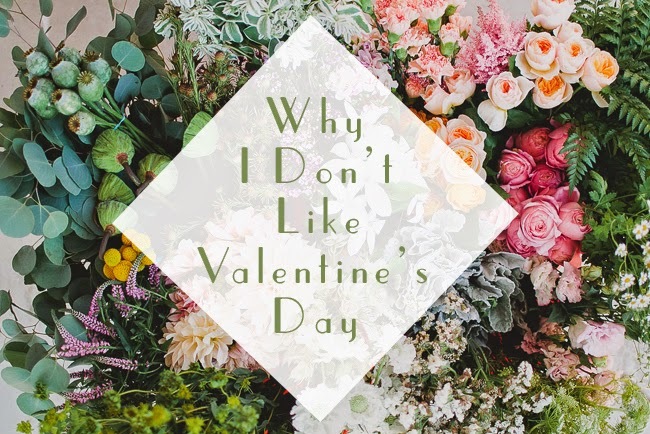 Have a pamper day with your friends or a movie night and be thankful that you don't have to live up to any of the ridiculous expectations that some couple's set themselves for Valentine's Day. I hope you enjoyed this post and whether you're in a relationship or not, I hope you have a fantastic Valentine's Day! Thanks for reading!